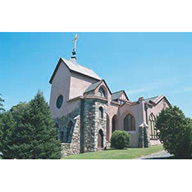 In the foothills of the Berkshires, Norfolk, established in 1758, has three state parks within its borders and miles and miles of hiking/cross-country skiing trails overseen by the Norfolk Land Trust. 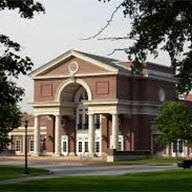 Norfolk is the summer home of the Yale School of Music and Art as well as the Norfolk Chamber Music Festival and popular, year-round Infinity Hall. This community of 1,667 residents has an excellent school, Botelle, a monthy newspaper, Norfolk Now, an engaging historical museum, a five-star library, a curling club and The Norfolk Country Club. 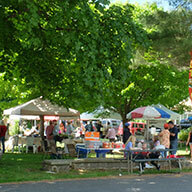 During the warmer months there is a thriving farmers market. 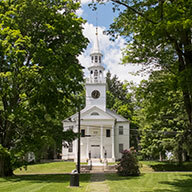 To the East of Norfolk is the beautiful, rural town of Colebrook, incorporated in 1779. The town is 32.9 square miles and has a population of 1520. Colebrook features an active historical society and land conservancy, Algonquin State Park, and 1.4 square miles of lakes and ponds. 700-acre Colebrook River Lake is open seasonally for fishing and boating and has a large boat ramp available. The Colebrook Town Pond is Colebrook's life-guarded summer swimming hole adjacent to its Little League field. The YMCA's Camp Jewell welcomes local kids to its programs. 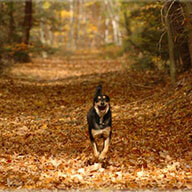 Distinctly rural, Colebrook is filled with mountains, lakes, streams, and forestland. Miss Isabella Eldridge established the Norfolk Library in 1889. Her hope was that it would be a meeting ground for the community, and it has maintained the character she gave it through all the years of its existence. 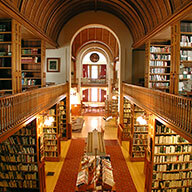 It serves not only as a storehouse of reading, but also as a central meeting place for the town. A full program of films, lectures, childrens' activities, and more is provided. On the Town Green. 860-542-5075. Renowned as a center for chamber music performances and professional study, the Festival features summer performances by many of the world's most celebrated musical artists as well as the brightest of the new generation of musicians. 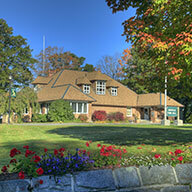 Situated on 70 acres of rolling lawns and glorious gardens. 860-542-3000. 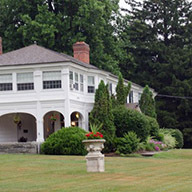 Ellen Battell Stoeckel Estate located at the intersection of Routes 272 and 44, across from the Norfolk Town Green. Find fresh vegetables and fruit, herbs, mushrooms, cut flowers and plants; local meats, cheeses, yogurt and eggs; breads and baked goods; wine; honey and maple syrup, jams, jellies and pickles, handmade wares of every description and an array of wonderful foods to take home or eat on the spot. Live music every Saturday and special events, including chef demos, add to the ambiance. 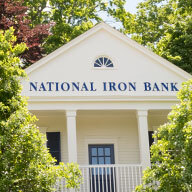 Just follow the signs to 19 Maple Avenue, Norfolk, Connecticut, one block north of Route 44. We’re on the lawn in front of Town Hall every Saturday of the season, May 17 through October 11, from 10 a.m. to 1 p.m., rain or shine, with plenty of parking right next door. 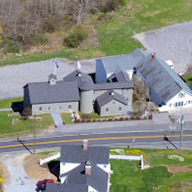 The collections housed within the museum in the center of Colebrook represent various aspects of life in town from the mid-1700’s to the present. Virtually every item was used or made in town, or has been donated by a Colebrook resident. Their season currently begins with Memorial Day and ends on Columbus Day Weekend. 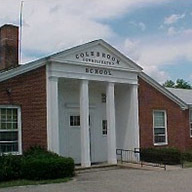 Colebrook Center. Since 1960, the Norfolk Historical Society has been preserving Norfolk's unique history and caring for its rich collection of artifacts and documents. 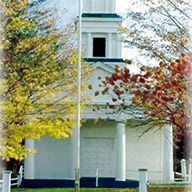 The Museum is housed in the old Norfolk Academy, built in 1840, later used as the Town Hall and Jail, and located on the Norfolk Village Green. 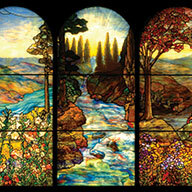 From the Winsted Citizen, January 26, 1928: "Mrs. Carl Stoeckel is having placed in the parlor of the Norfolk Congregational church five landscape windows of beautiful Tiffany favrile glass, which depict the four seasons and also one in the center, a sunrise scene with the intensity of color so characteristic here among the Litchfield county hills. The windows were designed under the personal supervision of Louis Tiffany, a life-time friend." 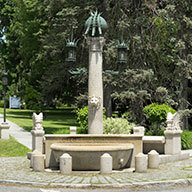 At the southern tip of the Norfolk Green, Battell Fountain, carved in granite and designed by Stanford White with bronze work by Augustus Saint-Gaudens, was the gift of the Eldridge sisters whose house and gardens faced the Green. The Village Green is now the center of the Norfolk Historic District. The gravestone of James Mars, located to the rear and left of the first entrance to the Center Cemetery, Old Colony Road, Norfolk, is part of the Connecticut Freedom Trail. 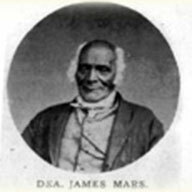 A former slave, Mars helped organize meetings to promote freedom for slaves and to improve conditions for free African-Americans. 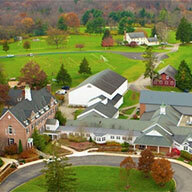 Camp Jewell (YMCA) is two separate, full-service camps within 540 magnificent acres. 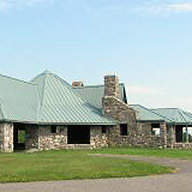 The camp serves thousands of visitors each year who enjoy friendly staff and innovative programs. During the summer, campers and staff come together to form a vibrant camp community. In the Fall, Winter, and Spring, Outdoor Center guests come to enjoy camp through conference, teambuilding, and outdoor education programs. Colebrook. Antiques. French 17th through early 20th century furniture, lighting, and decorative accessories for house and garden. 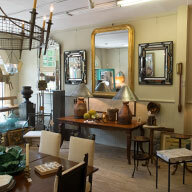 Country elegant dining tables, buffets, armoires, and mirrors are a specialty. Monday - Friday by chance or appointment - Saturday and Sunday 11am - 5pm. Station Place, Norfolk. 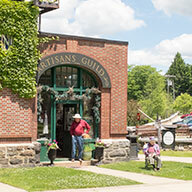 The Artisans Guild in Norfolk features the hand-made crafts and art of more than 30 local artisans. In addition, the gallery features a rotating series of guest artisans and artists. Building Permits: 860-542-5829; Mon, Tues, Thurs. after 1:00. Call for appointment. 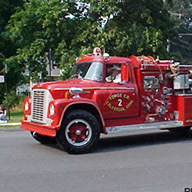 Center Firehouse – 31 Bunnell St. 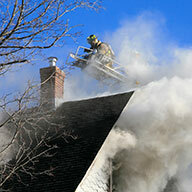 Forge Firehouse -300 Colebrook River Rd. The Great Mountain Forest Corporation on six thousand acres of mountains, lakes, ponds, and waterfalls allows public access for hiking, mountain biking, cross-country skiing, and snowshoeing. Elevations range from 1,200 feet to nearly 1,800 feet except at the southwestern extremity where the upland drops sharply to an elevation of just under 700 feet. See rules & regs for public usage. Norfolk's motorboat-free municipal swimming hole where Norfolk's children and their parents spend summer days sunning on the town beach and swimming in the clear water. 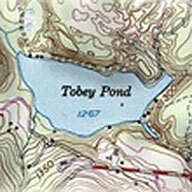 Tobey is open to Norfolk residents only. At nearby Wood Creek Pond, a state-owned boat ramp is an ideal spot to begin fishing trips for pickerel and carp. In the winter, the pond freezes for much of the season and is popular with ice skaters. Annual parking permits for Tobey are available at Norfolk Town Hall. Parking at Wood Creek is free. The 700-acre lake is open seasonally for fishing and boating and has a large boat ramp available. The lake and river are stocked with trout by the State. 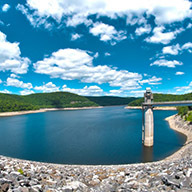 The fall foliage season offers spectacular views from atop the dam and from vessels while boating on the reservoir. Connecticut regulations and designated seasons apply. 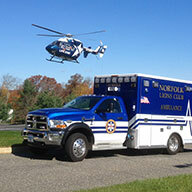 For up-to-date information, call (860) 379-8234. 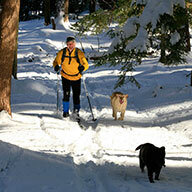 The Norfolk Land Trust (PO Box 363, Norfolk, CT 06058), supported through the generosity of residents and friends, maintains sixteen miles of trails in and around Norfolk. For a PDF of the Norfolk Trail Guide click here. Travel the twisting mountain road or hike the rugged trail to the top, either way you will be astounded at the beauty of mountain laurel in June and the spectacular colors of foliage in the fall. 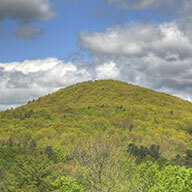 A 34-foot cylindrical tower at the summit has panoramic vistas of the Berkshire foothills, blanketed with birch, sugar maple, hemlock, and mountain laurel. 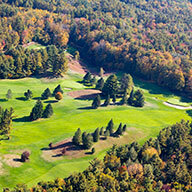 Hike to the summit of this 240-acre estate for sweeping views reaching as far away as New Hampshire. Fall foliage season makes Dennis Hill an autumn wonderland. 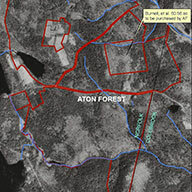 Aton Forest, Inc. was formed to preserve the lands assembled by Dr. Frank E. Egler as a Research Natural Area and to continue the low impact, long-term ecological research that he pioneered. 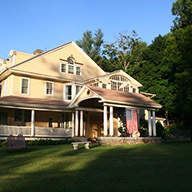 The organization also maintains an archive of Dr. Egler’s written material and library, and curates a portion of his house and furnishings as an informal museum. See their Events page. Norfolk. A private club, The Norfolk Country Club has a gorgeous nine-hole golf course, a number of tennis courts, and a clubhouse designed by Alfredo S.G. Taylor. The Club celebrated its one-hundreth anniversary in 2012. The Norfolk Curling Club founded in 1956 is a nonprofit organization, run entirely by volunteers and supported by membership dues. 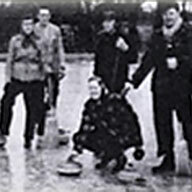 Today, the club numbers approximately seventy men, women, and young curlers in all categories. Membership applications are being accepted. Contact membership@norfolkcurlingclub.org for more information. Mike & Heidi welcome you to a great neighborhood pub in the center of Norfolk, Connecticut! 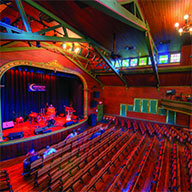 Enjoy a delicious dinner before a concert at Infinity Hall or the Yale Music School. Freshly cooked food, warm service, and a lively atmosphere. 860-542-1200. 3 Station Place, Norfolk. Housed in the old Norfolk Train Station, Station Place Cafe makes delicious home-made breakfasts and lunches. Soup, sandwiches, and more. Owned by Stephanie Gouet. Open everyday but Wednesdays. 10 Station Place. 860-542-2555. 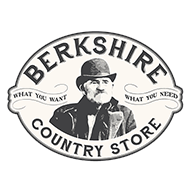 The Berkshire Country Store carries a large variety of goods that we hope make living in the Northwest Corner of Connecticut a little better. We are always open to feedback and some of our most popular items come from the community, so feel free to share your thoughts with us! 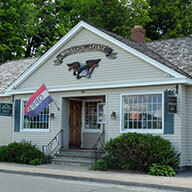 We are passionate about making the Berkshire Country Store a place that meets YOUR needs. The Bistro offers a wide selection of New American fare, ranging from small plates to fine entrees. For the light eater, a variety of sandwiches and salads are available. Vegetarian options are offered as well. 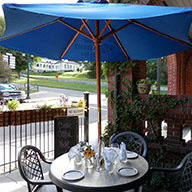 Infinity Bistro is committed to using local farms for their ingredients whenever possible. 860-542-5531. Route 44, Norfolk. A superb historic Colonial home dating back to 1763, Blackberry River Inn is situated on 27 acres in Norfolk. Magnificent cherry paneled library and hearth fireplace, two living rooms, a meeting room accommodating corporate meetings, weddings and private events, and a breakfast room with its 24 paned windows. 860-542-5100. The Colebrook Consolidated School, working in partnership with parents and the community, is committed to provide a safe, nurturing, quality educational experience where each child acquires the skills to become a life-long learner and to succeed in a changing global society. Botelle School is the only public elementary school in the town of Norfolk. 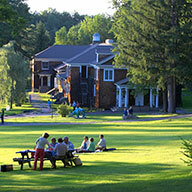 Surrounded by mountains, rivers, and forests, the school makes the most of the natural setting. 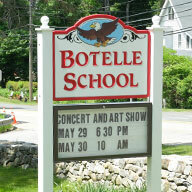 Today Botelle School serves about 160 children. 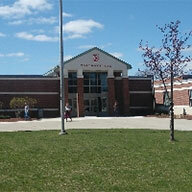 Students ompleting sixth grade at Botelle usually attend Regional 7 in Winsted which serves grades 7-12. Regional School District No. 7 is a comprehensive public middle-high school composed of four rural-suburban towns: Barkhamsted, Colebrook, New Hartford and Norfolk. 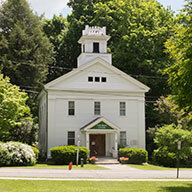 Opened in 1958, the school is accredited by the New England Association of Secondary Schools and Colleges. The school campus of 42 acres includes two 9-12 Houses and one 7-8 Middle School. Student enrollment is at a present level of approximately 1160. Winsted. 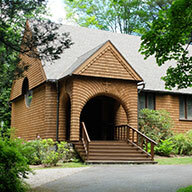 Indian Mountain School provides a traditional education for boys and girls from pre-kindergarten through grade nine in a boarding and day environment. A well-defined and articulated set of values--honesty, compassion, respect, and service--is at the heart of Indian Mountain School. Lakeville. 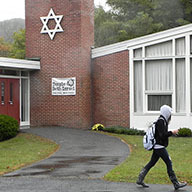 The Hotchkiss School is an independent boarding school located in Lakeville, Connecticut. 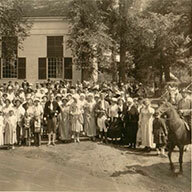 Founded in 1891, the school provides an education of unsurpassed quality to 587 students in grades 9 through 12. Students at Hotchkiss come from across the United States and 33 foreign countries. Graduates attend many of the most selective universities and colleges. Lakeville. Why Salisbury? Size: 285 boarders (93%), 20 day students! We are a school for boys focused on teaching young men! A fantastic student:teacher ratio and strong student/teacher relationships! First rate academic facilities!New Athletic Center! Dynamic and fun-filled weekends! 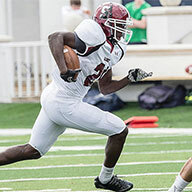 All independent college preparatory schools should offer an outstanding core experience: a first-rate academic program, distinctive opportunities in the arts, and excellent athletics. Berkshire is no exception; it provides an exceptional college preparatory curriculum with advanced courses and AP offerings in all disciplines. It is what happens at the periphery of this exceptional core that sets a school apart. 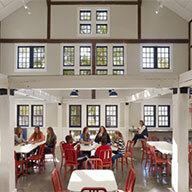 Millbrook School is a coeducational, college preparatory boarding school for students in grades 9-12. 800-acre campus is located in Millbrook, NY, and students here have the benefit of a challenging academic program, competitive athletics, fine and performing arts, a tradition of service and environmental stewardship, and abundant leadership opportunities.